Coated with pure Aloe Vera gel to help moisturize and soothe your hands, these gloves will bring relief to dry, irritated skin. The nitrile model enjoys all the benefits of aloe while offering superb fit, feel and stretch. 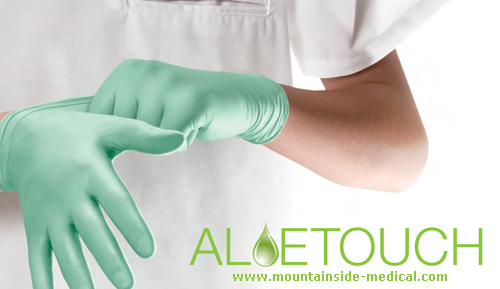 Our customers that use this glove have seen a positive improvement in skin quality as quickly as one week after switching to Aloetouch nitrile. This glove is the benchmark for the professional who wishes to have all the benefits of aloe with ultimate elasticity. 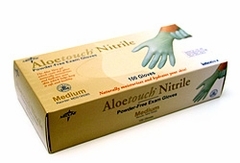 Experience the pleasure, the stretch, and the latex-free protection of Aloetouch nitrile.